This is a really great question because, of course, we always try to focus on how to make sure that things go right. But, the fact of the matter is, many times (maybe even more times than not) things don’t go completely right within the context of your strategic plan. So, what do you do in those cases? And how to you determine exactly what went wrong so that you don’t make the same mistakes again? Before we address this head-on, let’s take a minute to define what strategic failure actually looks like. All things considered, this should be a fairly straightforward definition. Every strategy should be based around some set of objectives. 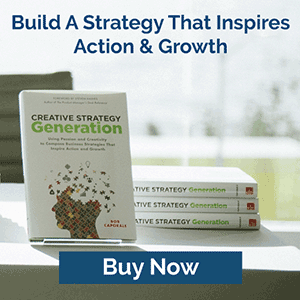 And if you’ve followed the advice that we give through this blog (or if you’ve attended any of the classes that we deliver through Strategy Generation Company), then your strategic objectives should have been designed using the SMART methodology of being specific, measurable, assignable, realistic, and time-based. By the way, if you’re not familiar with these terms, you can check out the blog post for Episode 56 where I talk about the process of creating strategic objectives a little bit more in depth. The bottom line is that your objectives are just that – objective. Which means that you should be able to measure your progress against them. So, if you met your strategic objectives, then you succeeded. And if you did not meet your objectives, then you failed. With that out of the way, let’s move on to the question at hand, which has to do with why you failed. You had the right plan but failed to execute upon it. You had the wrong plan. Easy – just make sure that you have an actual plan that you can judge your results against. First you need an analysis of your market, your industry, and your company. Then you need to plan your goals, your options, and your actions. Finally, you need a vehicle for execution, which includes an investment roadmap, a method to track your results, and a cadence to refresh your strategy on a regular basis. 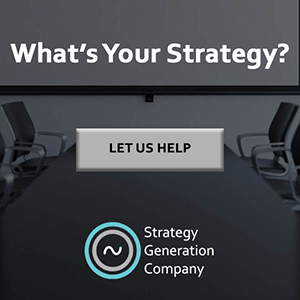 By the way, if you want a quick and easy framework that outlines these three basic steps, you can download one for free from Strategy Generation Company by clicking here. If did not achieve your goals and you carried out all of your strategic actions, then you have a bad plan. If did not achieve your goals and you did not carry out all of your strategic actions, then you have bad execution. That’s really all there is to it. Of course, if either of these two scenarios are true, then you’ll probably want to go a few levels deeper to determine exactly what the root causes were. For example, if you had a bad plan, was it because your analysis was flawed, your assumptions were wrong, or your actions were not designed to achieve your objectives? On the other hand, if you had poor execution, was it because your actions were unachievable or because nobody took responsibility for them? I’m sure that we’ll get to some of these questions in the context of future posts (hint, hint). 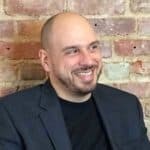 But, for now, without even having to go that deep, if you simply want to know if your plan failed at the strategy level or at the execution level, the easiest way to do that is to have a clearly outlined and communicated plan to begin with. Because, as obvious as it may sound, the place where most strategies actually seem to fall short is in not existing at all.